Dhalwinder Singh is a typical happy go lucky guy who has followed the regular path of an I T professional and now he is about to land in the world of opportunities – The United States. Dhalwinder, brought up in a middle class conservative family in Amritsar, always dreamt of life in live and happening Delhi. So, when he gets a chance to pursue his engineering degree in the capital, he grabs it. Life in Delhi and an IT job in Bangalore – Dhalwinder’s dreams of a materialistic life come true. In the process, he would have soured ties with his family, his father in particular who was not in favor of him leaving his hometown. In the US, when he receives a message of his father’s death, he comes to know of a fact which disturbs him. He then recollects his past years to know what went wrong. Presented in first person, life of Dhalwinder is portrayed brilliantly by Samta Shikhar and Vivek Vijayakumaran. What do we lose in our endless pursuit of world of opportunities and wealth? How much we give up in this chase or rather how much should we give up? The English play PAGDI tries to answer these questions in a subtle way. Dhalwinder is proud of being a software professional unlike Bunty his cousin, who runs a travel agency in Amritsar. He is proud to be in the US. He had seen his father showering praises on foreigners for them being polite and courteous and terming his own countrymen as barbarians. Dhalwinder was puzzled at his remarks then. Also, it made no sense to him why his father was so religious. He always wanted to come out of all the mediocrity surrounding him. But at what price? He was soon going to find out as he starts pondering over the end result of the race for a better life. 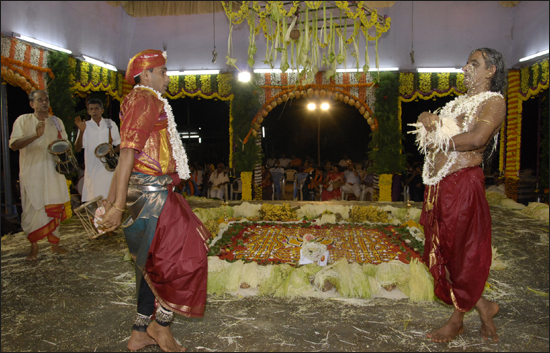 One interesting part of the play is the climax. Though seems unconnected many times in the play the sequences, they converge in the climax which is sure to thrill the first time audience. Kudos to the playwright Swetanshu Bora for keeping the viewer puzzled till the end. Dialogues of the play are hard hitting. On landing in US, Dhalwinder quickly proclaims ‘A job in the US cut shorts the years of slog in India’. After introducing him to the employer he sheepishly says ‘I will not leave your country’. In these competitive times, he asserts ‘Nobody has the time to look at and analyze the past’. Looking at profession Bunty is in, he questions ‘Do you think you are more successful than me?’ When Dhalwinder's sister Pummy messages him about her marriage in English mentioning 'Marriage Next Month' with venue and timings without any pleasantries either in English or Punjabi, for which Dhalwinder exclaims 'We have gone so far that language between us had changed' indicating the missing hospitality of mother tongue and sweetness of inviting lines. 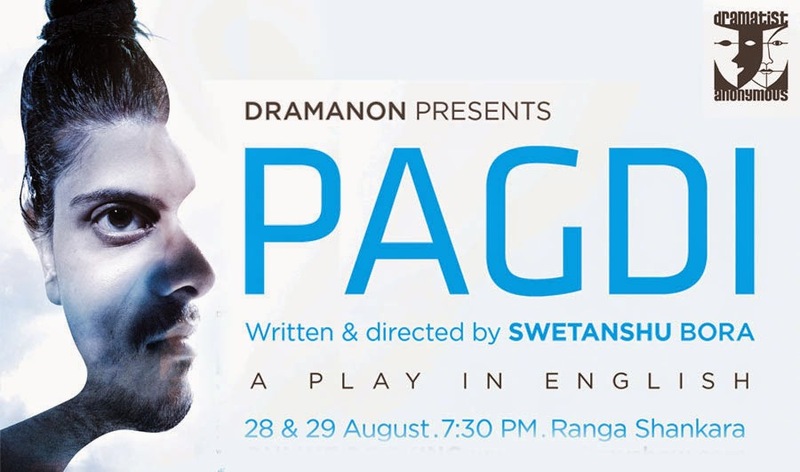 Though PAGDI does not explores many facets of what we lose in our materialistic desires, it uncovers a face and it is worth watch.